International relationships are increasingly critical to the organisations’ survival. 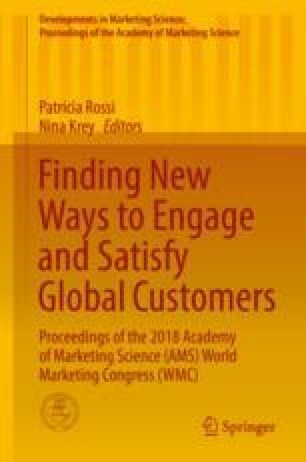 There is a surge in international research investigating how relationship marketing (RM) can be adapted across cultures. Majority of the studies argue for the use of cultural dimensions to pinpoint a suitable RM strategy for a specific country (Samaha et al. 2014). There is, however, some evidence questioning the reliability of traditional cultural values in the international RM research (e.g. Lichy and Stokes 2017; Sun 2017), implying an emerging cultural shift. In the current realities of globalisation, including global transport, widespread migration of people across borders, development of information and communication technology and global media culture is not stable and homogeneous, but complex and evolving. Some even argue that in the global marketplace, consumers are exposed to a diverse range of local, global and foreign cultural influences, and all of these influences shape consumer identities and consumption preferences (Kipnis et al. 2014). Thus, studies that consider international RM should also change their perspective on culture to reach solid conclusions. In the face of this cultural shift, some envision a global consumer with a homogeneous hybrid culture that incorporates all national cultures (e.g. Wilk 1998), while others theorise a heterogeneous multicultural consumer, who can navigate with ease between multiple cultural norms depending on the situation (e.g. Cleveland and Laroche 2007). Whichever prevail, the underlying characteristics of this globalised consumer point to cosmopolitanism as a common trait (Kipnis et al. 2014; Sobol et al. 2018). This study aims to explore the consumer profile and consumption preferences of cosmopolitans by studying expatriates, the archetype of cosmopolitans (Skrbis et al. 2004). However, previous studies suggested that risk-taking and novelty-seeking cosmopolitan consumers embracing individualist values might not be the best base for RM strategies which thrive in collectivist societies upholding conformity and security (Samaha et al. 2014). To understand if and what RM strategies can be the most suitable for them, in-depth interviews were conducted with expatriates of highly diverse backgrounds and nationalities from all five continents. The exploratory findings imply that expatriates, when moving from one country to another, prefer to keep established relationships with their service providers and global brands because these are essential to maintain continuity and stability in their dynamic life. In line with the recent research, product attributes and demographics, like age and education, are found to be more reliable base for building RM strategies than traditional cultural values.